How to unlock and use the Fast Travel feature in Just Cause 4. If you recently started playing Just Cause 4, you may be wondering how to unlock the Fast Travel feature. While you can’t immediately use Fast Travel in Just Cause 4, the good news is that unlocking it is pretty simple. Confused on what you need to do to unlock Fast Travel? No worries, we’ve got you covered! Below, we’ll walk you through the steps needed to unlock and use Fast Travel in Just Cause 4! By completing the Wanay Extraction and Illapa Project missions, you'll be able to unlock Fast Travel in Just Cause 4. 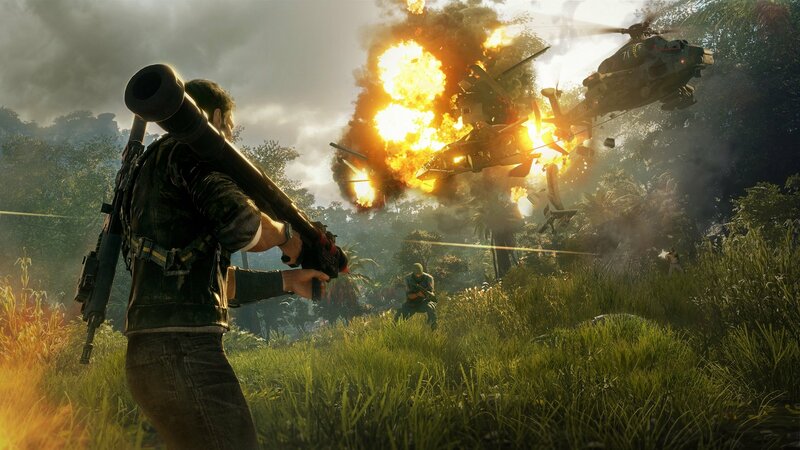 In Just Cause 4, you can unlock a Fast Travel feature that’ll enable you to navigate your way through Solis. Before you can use Fast Travel, you’ll need to complete a few simple steps. First, finish the “Wanay Extraction” mission to full completion. The Wanay Extraction mission is relatively straightforward, and tasks you with helping aid a cluster of civilians as they make their way to safety. Next, make your way over to the Wachikuni region of Solis. There, you can accept the “Illapa Project” mission. By accepting this mission, you’ll be given a cutscene where Rico is asked if he’s interested in working with of the resistance’s new pilots. As you might’ve guessed, these new pilots are the key to using Fast Travel in Just Cause 4. To use Fast Travel once you have it unlocked in Just Cause 4, you’ll want to open your map of Solis. Note that you can only use Fast Travel to locations you’ve previously visited and discovered. To make Fast Travel fully efficient, you’ll want to progress through the game and continue discovering new locations. Survey the locations you've discovered, then select a location you wish to Fast Travel to. After that, you’ll be met with a prompt to “Request Travel” from one of the resistance pilots. Confirm your Fast Travel, select a pilot, then board their plane to Fast Travel to your desired location. One thing to keep in mind is that Fast Travel in Just Cause 4 has a small cooldown. After you Fast Travel, you’ll need to wait until your pilot refuels their jet in order to Fast Travel again. Other than that, you can use Fast Travel to help you save time, or if you want to go quickly go back and explore a previous area. So, have you unlocked Fast Travel in Just Cause 4 by completing the Wanay Extraction and Illapa Project missions? If so, where did you Fast Travel to first? Let us know down in the comments below! By reading through this guide, you should now know how to unlock and use Fast Travel in Just Cause 4.